Here’s a little before and after combo. 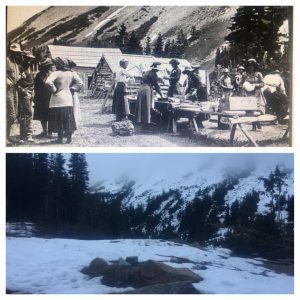 The top is the Glacier Basin Adventure in the very early 1900s, and below is the same view in 2016. Thank you Jeff Morrison for providing these.